I'll comment my stay in English so more people can read about it. facilities (food shopping, telepheric station). Amazing place and view, very clean. Susan and Johanne are very nice people. Mooie locatie en gastvrije mensen! Mooie omgeving waar veel te doen is. Beautiful, characterful. spacious, amazing view.... Loved it! A really incredible home to stay in. Cannot recommend it enough. This was an amazing place to stay and a great experience, but there are a few things you should know about the place. 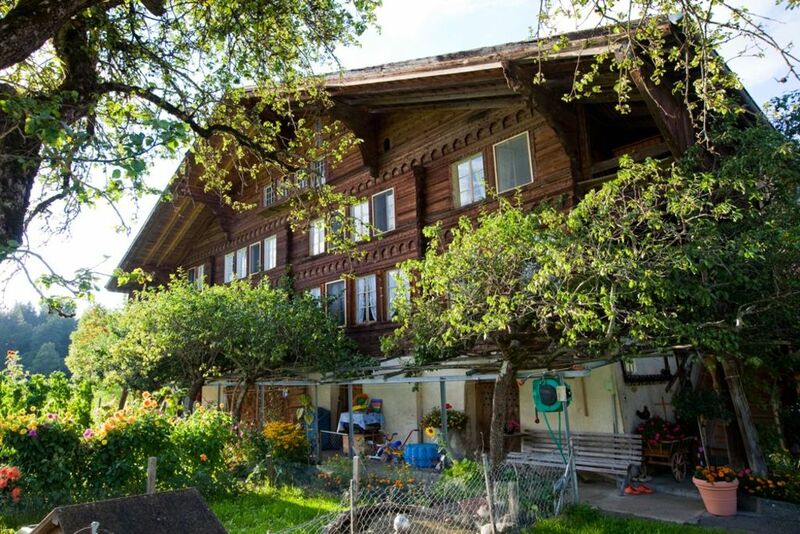 Namely, this is an authentic chalet that was built 200 years ago, so it is extremely rustic. The floors creek tremendously and the ceilings are only 6'2" (except the nice modern kitchen and bathroom which are taller) with the ceiling joists and door openings all being about 5'9", so if you're tall I wouldn't recommend it. It was fun to go to the nearby open air museum to see examples of period houses of the time, and to realize that they looked the same and were even similarly furnished to the chalet in which we were staying. The location is nice and slightly rural, right next to a campground, and there is a beautiful garden and swings for the kids to play on. Overall this place had more character than any other rental we stayed at. Verblijf in authentiek appartement. Lage plafons en erg gehorig. Wel knus en vriendelijke eigenaren. Mooie omgeving met veel mogelijkheden voor activiteiten. Prachtig uitzicht op de Wetterhorn.